TNBC is one of the most aggressive types of breast cancer. 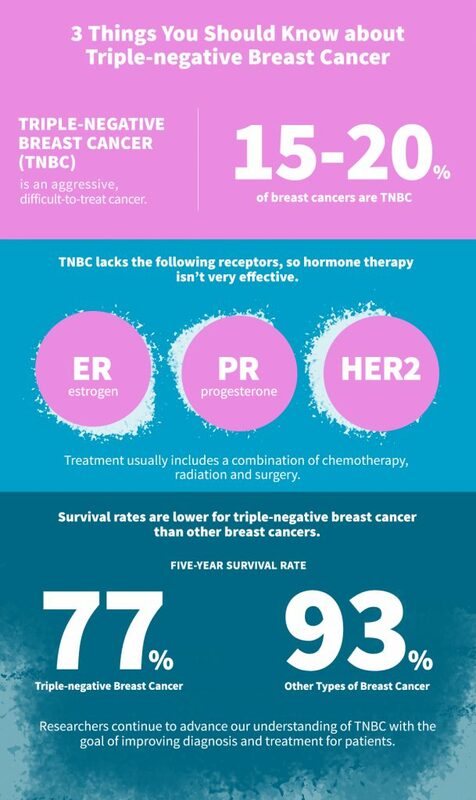 It responds negatively to three major classes of drugs designed to treat more common forms of breast cancer – hence the name “triple negative.” In recognition of National Breast Cancer Awareness Month, I want to shed some much needed light on TNBC. It’s been my experience that the communities most affected – African American and Hispanic – sometimes lack some of the vital information and resources that I now know can save lives. TNBC represents only 15% of all breast cancer cases but accounts for as many as 25% of all breast cancer deaths annually. TNBC affects younger women of all ethnicities, but African-American women diagnosed with breast cancer are nearly two times more likely to be diagnosed with TNBC than other ethnic groups. Hispanic women are at an increased risk, too. Biological reasons for TNBC remain unknown, but scientists are studying African-American women and women with BRCA1 mutations in an attempt to learn more. Early detection and treatment is critical to long-term survival, especially among those diagnosed with TNBC.Studies show that early detection can result in a 98% survival rate versus a 26% survival rate with late detection. Medical advances have increased the overall breast cancer survival rate up to 98% in many cases. 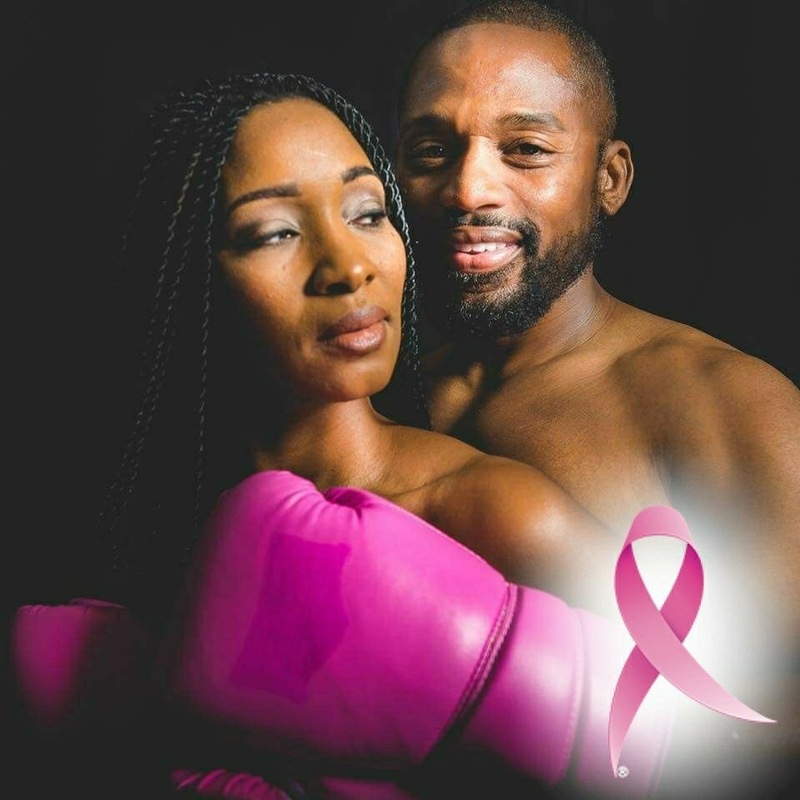 However, the overall survival rate for African-American and Hispanic women is only 77% and it is even lower for those diagnosed with TNBC. Stay positive because TNBC is not the death sentence it once was; and seek a support system, which is crucial to maintaining a healthy mindset. 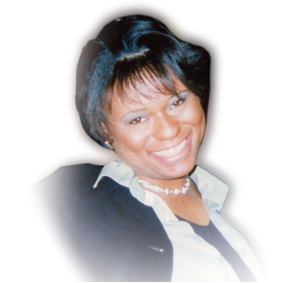 In memory of my dear friend, Laini, the Laini Fluellen Charities was established to help drive awareness and raise funds for breast cancer research. Each year as our primary fundraiser, we celebrate Laini’s life and legacy with the Pink Tie Affair in collaboration with Ameristar Casinos. As a party with purpose, we’ve been able to donate nearly $70,000 toward cancer research. This year, we had the honor of welcoming Emmy Award-winning Chicago news anchor, Darlene Hill, as the emcee. As a multicultural marketing communicator, helping to reach and respect these highly-affected populations about health disparities is not only a part of my job – it’s a personal commitment that I’m proud to continue in honor of my mom, my friend and my community at-large. To learn more about TNBC, visit the Triple Negative Breast Cancer Foundation website. Danyele Davis is a vice president at FCG. 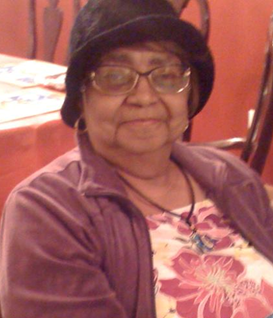 In loving memory of Laini Fluellen and Annie Pearl Cheatham.